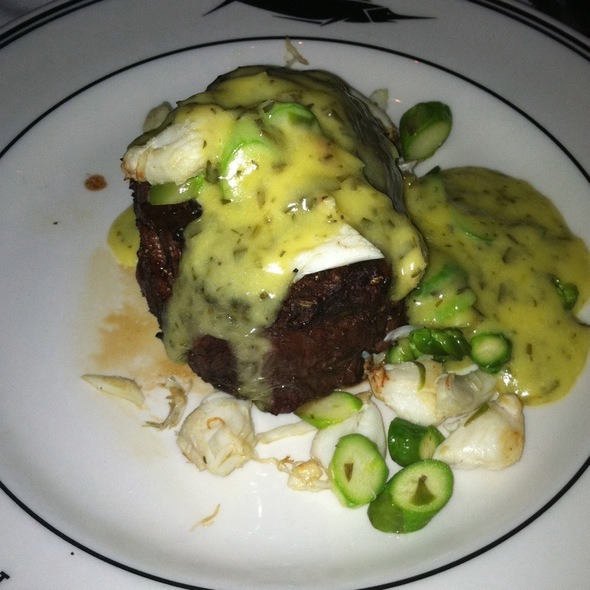 You must make reservations at least 5 minutes in advance of the time at Oceanaire Seafood Room - Baltimore. Very good food! Tasty & plated well. Excellent service. Prices for wines were too high by at least 10%. Food prices were typical for Inner Harbor...HIGH! The food is way over priced. 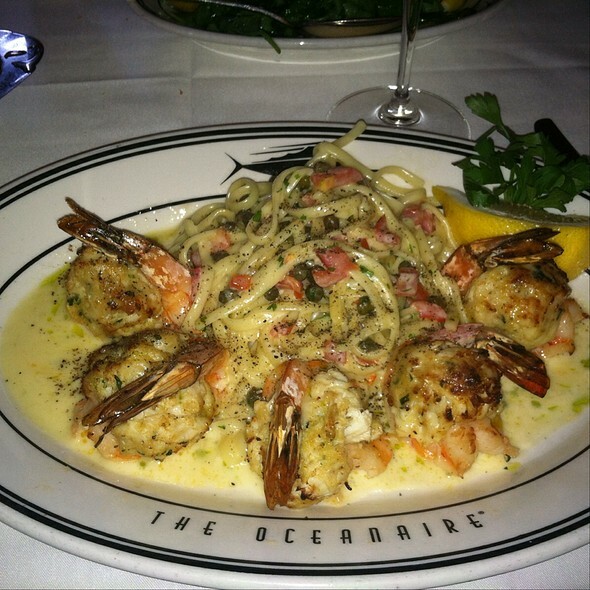 This was our first time dining at the Oceanaire and it was wonderful. The atmosphere was nice and the ambiance was great. The service was professional and they made you feel welcome. Our server was Tori and she was wonderful. The food was amazing! We will definitely visit again. Great restaurant for special occasions and business meetings. Outstanding service from attentive waitor carefully watching out for our needs, given my wife being an vegetarian. All staff wishing us a happy anniversary with menu revised to acknowledge the occasion. It was a special night with good friends! The food was excellent and the service was, as well. I brought my neighbor from Jamaica here 3 years ago for her birthday and she thoroughly enjoyed the experience, especially the whole Arctic Char. I brought her and her husband (celebrating birthdays) along with my friend to hopefully have the same experience but unfortunately, we did not. While our waiter Adam was wonderfully attentive and accommodating, the chef seemed to be having an "off" day. The manager also stopped by the table which we appreciated (before we received all the food). The food (crab cakes, asparagus, cream of crab soup, soggy tempura shrimp sent back the first time and brought back with sauce on the side but still not crispy and greasy) did not excite any of our taste buds nor did we feel it was worth the cost of each dish ($325, thank you Adam for removing items that were not eaten). The first round of drinks were "weak" according to my friends, as I did not partake...but another round of different drinks were suggested and brought by Adam and they enjoyed them much more (Ocenaire specials). My friend was very excited to have the Arctic Char again but alas it was not in season so she chose the Chilean Sea Bass. She was disappointed again as you did not have any in the kitchen. Adam suggested it's "cousin" the rock fish but she ended up not being impressed with the flavor or texture of the dish. At this point we dealt with the food because it was getting late but it was not as enjoyable as any of us hoped (especially my friend who had never been to a "fancy" restaurant before). I promised to bring my neighbor back for the Arctic Char when it is in season and really hope it meets her previous enjoyment but I will not be returning other than that. My family and I dined at this restaurant celebrating My husbands birthday the service was exceptional and the food was delicious the price matched the overall experience awesome ! Check it out! 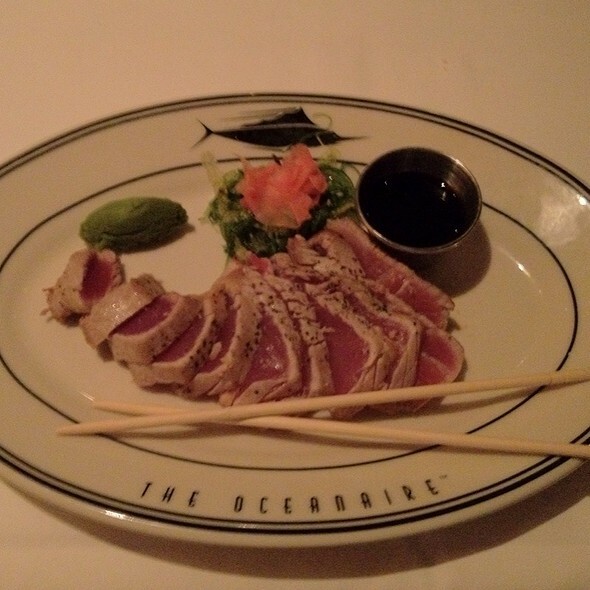 My wife and I have been dining at Oceanaire for over 10 years and every visit has been an excellent experience. 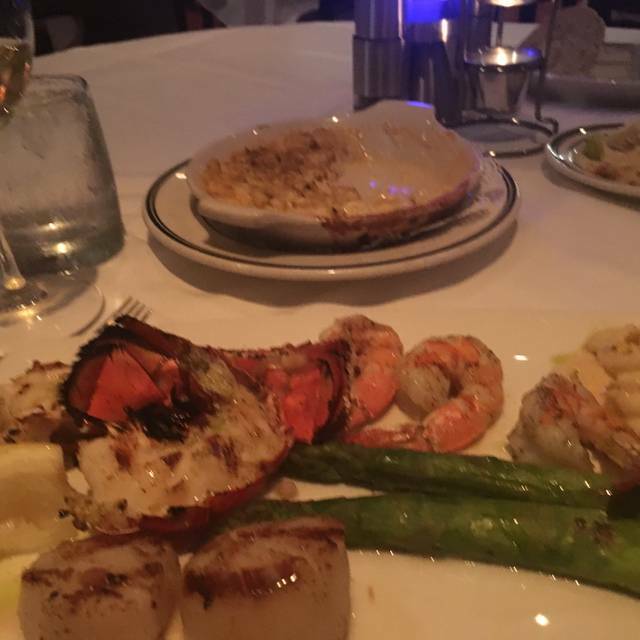 Everything from the daily fresh seafood selections, extensive wine list, attentive service and attractive meal presentations, make this a Baltimore dining experience no to be missed. We had a fabulous dining experience. Our server was knowledgeable, friendly and fun. Will definitely go back again! wonderful experience in Baltimore to end a very eventful weekend. 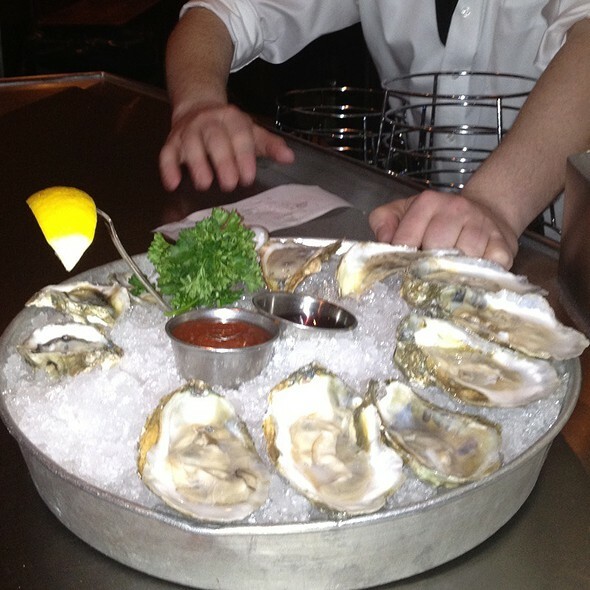 Get Service and excellent selection of food. Chef Ramsey has nothing on this restaurant. Waiter was aloof. Dropped silverware spilled water and beer on table. Lobster Bisque was lukewarm and bread pudding was lukewarm and cold in some spots. Definitely not the experience I have had here in the past or at the Minneapolis location. Server knew the menu well and was able to explain and answer any questions. The food was well prepared and came out hot. Everyone was really pleased with their choices. Overall excellent experience. Celebrating a friends birthday. The restaurant is very beautiful inside, love the location. Menu selections great. Disappointed for a Baltimore In A Harbor location there didn’t offer a crab soup of any kind. Rock fish imperial was delicious, NY Strip Steak was tasty however, extremely to thick. Lobster bisque just a little to much sherry. Great dessert menu as well. Overall, we enjoyed our dinner and service. Might come back, was not one of my favorite restaurants. Although waiter was very nice and took the initiative, there appeared to be some lack of coordination with the sommelier and others, which caused delays and inconsistencies. The food was a little overpriced and for one poached entree the fish was undercooked. The service was excellent and very attentive. The ambiance was elegant and quiet. Except for the undercooked entree, which I believe was an anomaly, the food was excellent. The manager was very responsive for the undercooked food and promptly addressed the situation by offering a credit and alternative food options to compensate for this mistake. This was our first time at this restaurant. From the door until the end of the night, the service was excellent. 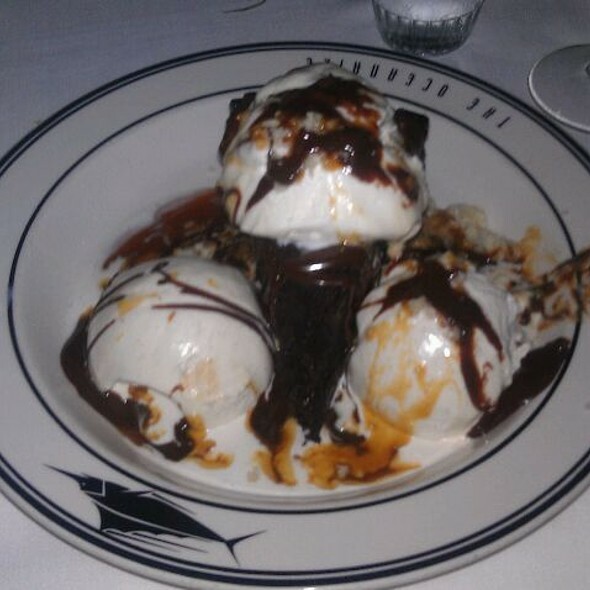 Our server Colin was very knowledgeable about the menu and made great recommendations. We enjoyed ourselves so much that we joined the Landry club! We will definitely be back. Our server was outstanding. She was very efficient and helpful. 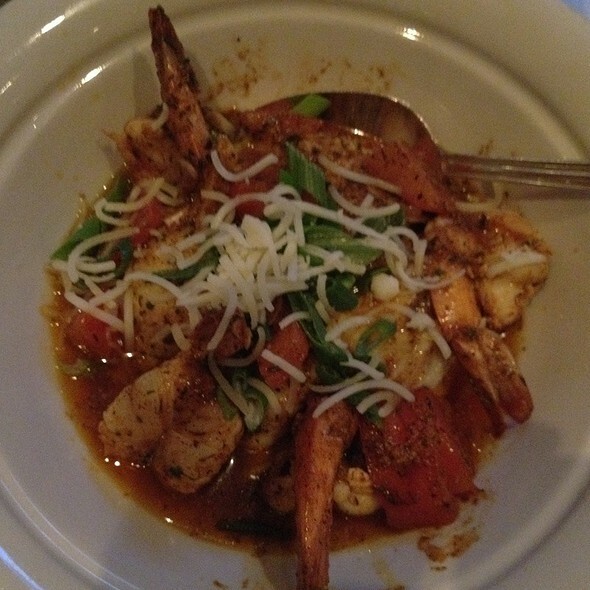 My food was delicious and the service was Great!!. 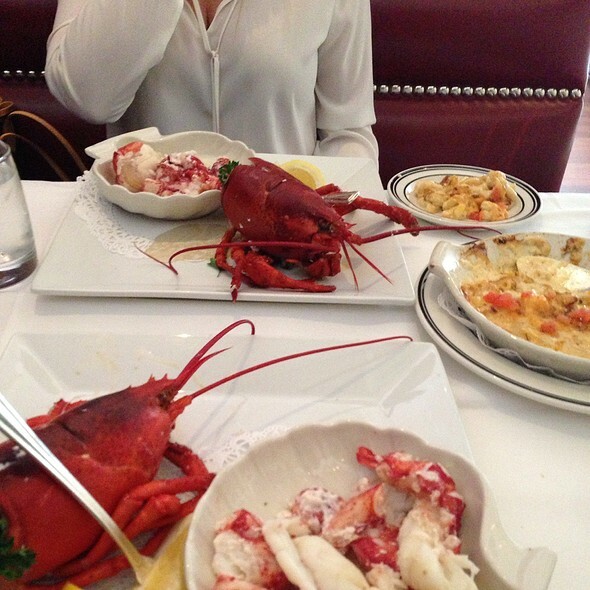 Great seafood and steaks and attentive service for friends’ get-together. Definitely will return for special occasions! Our waiter Janette was awesome. Food was great. My husband’s birthday dinner - received a complimentary baked Alaska. Excellent dining experience. Wonderful place to get a group together for dinner! One of the best restaurants in Baltimore and wherever else that I have eaten at. My wife loves when I take her there. The food an ambiance is outstanding. We always sit at the bar tables. It can be expensive if you get a bottle of wine and side dishes. Meal for two 150 to 200 so not a place I do very often, I use as a special occasion or change of pace date night outing, but we love it. 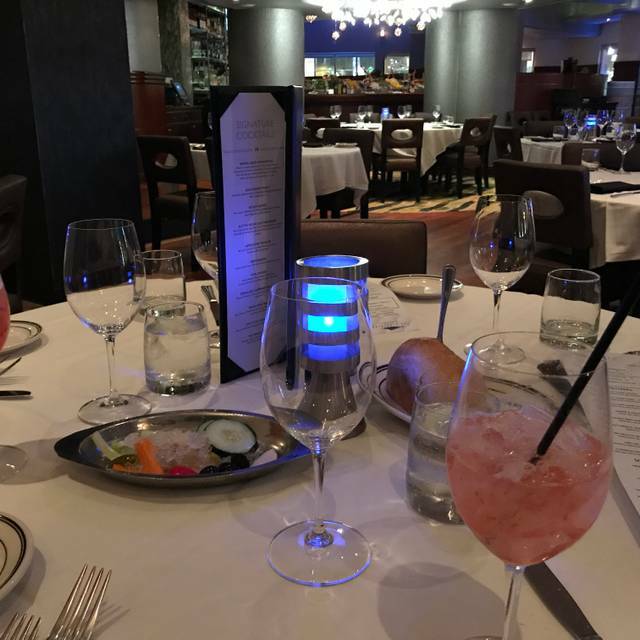 We had an amazing experience at Oceanaire. We went to celebrate an 80th birthday and we were treated like celebrities, from beginning to end. The service and food were phenomenal and we'll definitely be back! The service was excellent, Charlie was the best. Food was excellent as expected, service wasn’t bad but it seemed like for the amount of people actively in the restaurant it could have been better. Most disappointed with our seating. Restaurant was empty and we had an open table reservation & got sat right in the middle next to 2 other active tables. Some privacy in a restaurant that was empty would have been greatly appreciated. We decided rather late in the day to make reservations for dinner. Everything was great per usual. And Mario always provides top notch service and takes great care any of my friends and family come for dinner. The bread pudding was EVERYTHING!! Briston was great! Food was outstanding. Highly recommend.